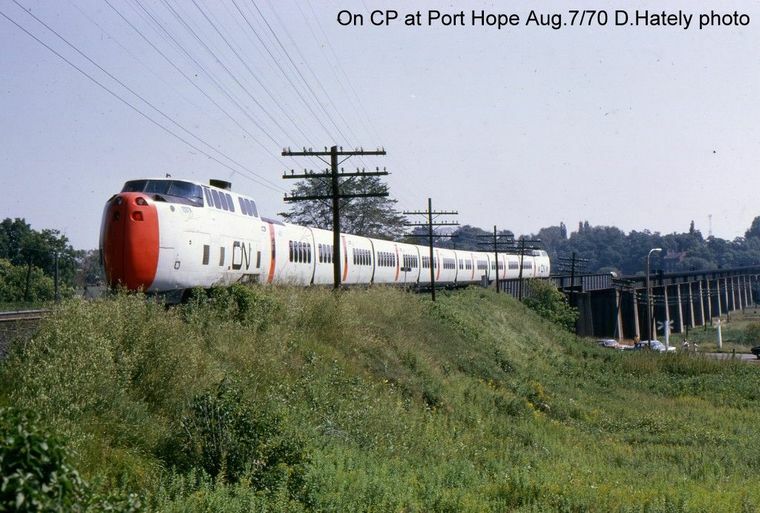 Never seen this pic before, detouring onto CP tracks at Port Hope. Interesting scene. Quite the story with these but eventually it all worked out. Never liked the VIA yellow and blue version, this one was always best. CN Turbotrain on detour over CPR. CN TurboTrain had a clean and neat livery which made them looks "freshly" and attractive. 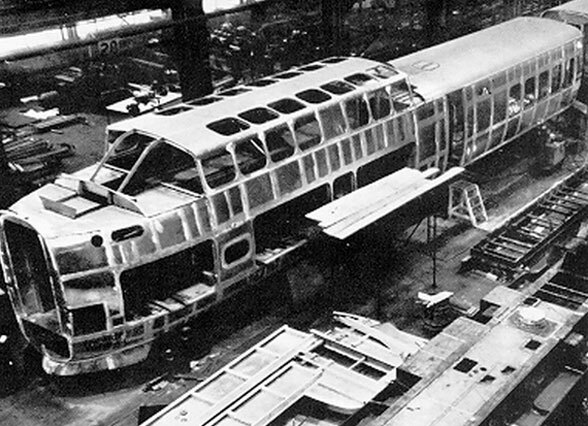 The achievement of TurboTrain was what the GM Aerotrain failed to achieve. Never liked the VIA yellow and blue version, this one was always best. Wow yes, I remember that! The TurboTrains red nose staring down Rudolph. Don't recall the name Allan Cripes but hey. Never seen it on the net though. Will search. For the love of God, Montresor! Alan R. Cripe (I could have sworn it had two 'l's) was the Sergei P. Korolev of the TurboTrain. (And of the stillborn diesel version that followed...) He was active under Browne right at the outset of the whole Train X craze, got the rights to some of the resulting patent IP... and had some good ideas about how to make the idea work. Oh yeah... it would have come to me at 3 in the morning. We Classic oldtimers have so many dusty files buried, down this aisle, over here, turn left and all that, it takes a while to retrieve a memory. It's not any slower it's just the volume! Of course that wasn't up there with really important stuff, lucky if I ding into my kids birthdays 3 days after the fact. Fortunately, I have a handy retrieval ready file of great excuses. So life goes on. Now where was it I saw that picture? Trade publication, newspaper, CN ad? Now where was it I saw that picture? I distinctly remember it being in Trains Magazine. 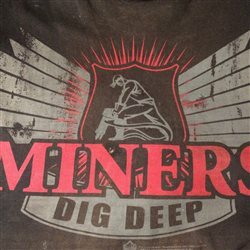 Ok good good, we should be able to dig that up and post then...hopefully.